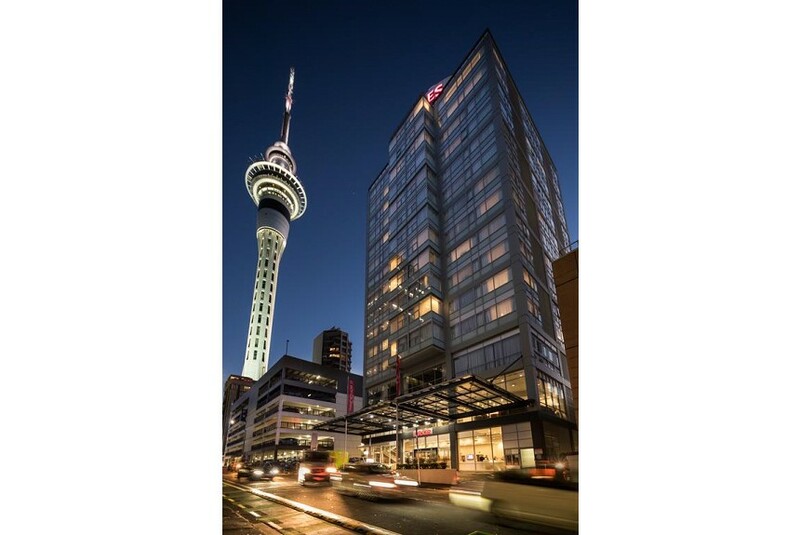 Just 650 m from Viaduct Harbour, Rydges Auckland offers rooms with stunning city or harbour views. All rooms have free WiFi, a flat-screen TV with cable channels and in-room movies. Guests enjoy an on-site fitness centre. Situated in Auckland CBD (Central Business District), Auckland Rydges Hotel is just a 2-minute walk from The Sky Tower and SkyCity Casino. Auckland International Airport is 25 km away. The stylish air-conditioned rooms include an ergonomically designed work desk, a minibar and tea/coffee making facilities. All rooms offer views of the inner city, while some have sweeping views of the Auckland Harbour Bridge and the picturesque Waitemata Harbour. On-site dining options include Barista on the Corner and The CUT Restaurant & Bar. Barista on the Corner serves muffins, pastries, tea and coffee. The CUT Restaurant & Bar offers traditional cuisine with a modern twist and a large selection of wines, cocktails and other beverages.